Please let Keith know if you see any mistakes, I always seem to make a couple somewhere. Race meetings are held on Sundays and Bank Holiday Mondays. All meetings will start at 11.30am..
Juniors - 1000cc Mini Saloons only, age range 10 to 17 years old. Minimum age for all the following Adult groups is 17. Racers who have come through the Juniors may be allowed in at 16 with the Promotions & Parents approval. Production 'A' - UNDER REVIEW - Up to 1000cc FWD and 1100cc RWD. OHV or OHC as homologation list. 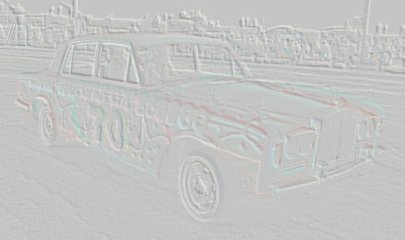 Hot Rods - Any modified saloon of any drive, unlimited engine size. Fuel injection is permitted. 1600cc Production Rods - Up to 1600cc front wheel drive. Carburettor or injection. Drift Rods - More a class for fun and the exhilaration of getting the back end out with a RWD car. Rear wheel drive only, no cc limit. Super Drift Cars - Modified version of our previous Drift Rod class. Specialist class with cars strictly governed. Street Bangers - Up to 1800cc, No Mondeos, no Vans, MPV's must check eligibility with the promotion. Nudge & Spin type racing, no following in to the Armco, no flat out hits. F2 Stox - 2 Litre max, contact limited to leaning and nudging in to the corners. Any car built to Brisca F2 Stock Car or Spedeworth Superstox spec. Bangers - Various cc limits apply depending on the meeting. Mondeo/Cougar's are excluded from some 2 litre limit meetings, all Granada and Volvo's have to race in the Unlimiteds. Unlimiteds - No Previa/MPV's. No Imperials / large 4x4's / Station wagon type vehicles (even if they are 2 wheel drive). Standard Yanks only (no heavily prefabricated wings or panels) If in doubt - phone to check. ALL Bangers must book in for HMC 2020 on 5th January. From November 4th anyone who has who has an Unders Classic, Under 2Litre or Unlimited car can book in. In keeping with the spirit of HMC new racers will stand more chance of a booking if they have a Classic or Unlimited car. Visiting racers always welcome, no need to book in except for HMC. All Banger Finals and end of day Demolition Derby's carry prize money. 2019 Standlake Points Championship: All meetings from 17th February - 17th November inclusive. Only Standlake Arena Registered racers will be eligible for Championship awards. 2019 Full Attendance awards: 17th February - 1st December inclusive. Juniors, Production A, 1600 Prod Rods and RWD Rods race at all meetings except some big Banger meetings when you will be notified well in advance. FEBRUARY 3rd - Registration day at the track - 11am to 3pm. 2018 Registration fees: Juniors, F2 Stox & Hot Rods & Drift Cars £30, all other classes £50. Anyone paying in installments will be charged £10 extra for administration. Once registered racers are allowed to race in any class without further expence. FEBRUARY 17th - Season Opener, Street Bangers up to 1800cc. All other classes except no F2 Stox. First Championship points meeting. Unlimited & Under 1800cc non Mondeo National Bangers. All other classes except no Hot Rods. APRIL 22nd - (Bank Holiday Monday) - Street Bangers up to 1800cc racing in Teams of four. MAY 6th (Bank Holiday Monday) - Street Bangers up to 1800cc / Ladies Street Bangers up to 1800cc. Fun Day with various fun races. Annual Ramp Rollover competition. All other classes except no Hot Rods. All other classes except no Hot Rods. Caravans by booking in only. JUNE 23rd - Street Bangers up to 1800cc best pairs / Ladies Street Bangers up to 1800cc best pairs. Super Drift and all other classes except no Hot Rods. AUGUST 18th - Trigger Memorial Unlimited National Bangers plus Street Bangers up to 1800cc. AUGUST 26th (Bank Holiday Monday) - Big Van National Bangers plus Street Bangers up to 1800cc. Big Vans - 3.5ton limit, no large buses, truck chassis or chassis cabs. £50 smartest van. OCTOBER 20th - Street Bangers up to 1800cc, Open Championship. £1000 Prize Money. The only other classes racing at this meeting will be Juniors and Drift Rods & F2 Stox..
All other classes except F2 Stox. Final Championship points meeting for all classes. JANUARY 5th 2020 - Heavy Metal Classic, National Bangers - Under 2litre Classics, Under 2litre (no Mondeo/Cougar), Unlimiteds and a limited number of Micro Bangers depending on available space. Bangers only, No other classes. All racers must book from the 5th November for this meeting. Through November bookings will only be taken for Unders Classics, Under 2litre and Unlimiteds so get a car lined up ready for this great meeting. Should any places still be available in December bookings may be taken for Micros.